Time is concept that is very common within the Legend of Zelda series; with 16 installments over 27 years, the series has brought us a total of six games which have used the idea of time in some manner. Time has also played a factor in the grand scheme of Zelda in the form of the timeline itself. 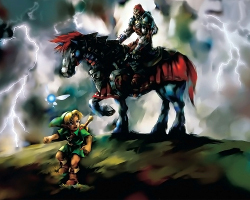 Ocarina of Time has three alternate outcomes — two of which were a consequence of Princess Zelda sending Link back in time to relive his childhood — thus the infamous timeline split was created. So one could say that time has played a pretty big role in the Zelda series, and this is what I would like to explore within this article. Basically, I’m going to go through the main ways that time has been utilized, make my analysis, and finally, come to a conclusion on how I think time could be used in the next installment. I’d rather leave the debate over time out of this article, so I will just focus on this definition; the way that we notice time pass, without any form of numerical counter, is by comparing and contrasting events. Now let’s apply this to the Zelda series, and where better to start than where time first became a theme? Of course I’m talking about the illustrious title known as Ocarina of Time. Time was a substantial theme within this installment; it’s even referenced in the title. I would argue, to an extent, that this game in particular shows the best progression regarding seeing time physically passing. We actually see the consequences of a significant passage of time, seven years to be exact. Partway through the game, it introduced the idea that the world we once knew was now very much a different one. When Link reawakened from his seven year sleep, Hyrule, now supposedly ruled by Ganondorf, had become a shade of its former glory and we got to experience this fluctuation first hand. This created a sense of “negative progression”, as I would call anyway. Progression can occur in two ways: With positive outcomes and with negative outcomes. I think that the importance of negative progression — progression with negative outcomes — in the Zelda series is sometimes overlooked. Let’s look at how much we see positive progression in the series: I would say that we generally see the game world changing for the better. In typical Zelda fashion, we get stronger as we progress. On our quest, we gain a wider knowledge of the world and what’s happened, a larger arsenal of weapons and powers, and stronger upgrades, so we feel stronger. Evil starts out as the clear superior, but we gain more and more power, and this creates a sense of positive progression; it’s as if we are making a difference. This feeling of making a difference is one of the most satisfying feelings I get from playing a Zelda game, but I feel it can create a problem. The Zelda series is primarily a light-hearted one, but the plot always revolves around an evil and our goal to rid the land of it. Having a feasible threat is key, as in my opinion adds to a more believable storyline. My reasoning is this: Link is a small, humble village boy, who overcomes great feats and saves Hyrule against all odds through destiny or determination. The plot should stick to this idea, of an improbable task in which we are the underdog. We should feel empowered, yes, but we should also have that sense of being underestimated. It increases our motivation to make a difference, and it can heighten those oh so satisfying moments when we fix what is wrong. What I’m essentially saying is that I feel the presence of evil within Zelda games could be greatly improved upon to magnify these feelings in the player. As we get stronger through advancing past certain regions, we identify the positive results of our actions. Darkness fades in those regions, and as we progress, evil tends to become less threatening, not to mention, more obscure. With evil diminished and the player stronger, it really does lessen the threat that evil should pose. So, as we take strides to become a more prominent figure, so should the presence of evil so as to preserve the sense of challenge and accomplishment. How could Zelda increase the presence of evil? Negative progression, as showcased in Ocarina of Time through a substantial passing of time with dire events, helps create a reasonable balance. Link became the destined hero with the legendary blade, but evil became a more significant threat as well. 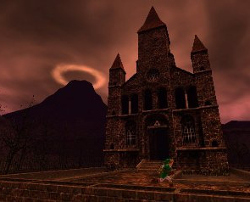 When we first exit the Temple of Time as an adult, we immediately notice the clear contrast between the past and present. Hyrule Castle is now a barren wasteland, roamed by the undead. This extent of change really impacted me as a player. Seeing such a drastic contrast gave a new tone to Hyrule and, more importantly, changed my outlook. Straight away we were hit with this idea that what we had just achieved — gaining the Master Sword — actually has negative consequences. Even though we had essentially achieved our goal, evil had struck back and was more abundant than ever and Hyrule itself now suffered. All of this made the time travel we went through seem realistic. In essence, it actually felt as if time had passed seven years. Through time travel we were able to experience Hyrule in two eras, and watch it change for the worse under Ganon’s influence. I think that through effective time travel, Zelda can significantly enhance the feeling of progression through a contrasting world like Ocarina of Time did, and it’s also an excellent device for creating negative progression to contrast with the positive progression we feel as the players. Now let’s get down to one of the biggest aspects of the series: Puzzle-solving. In my opinion, the edge that puzzle solving once gave the series has diminished to an extent. If we look at the top-down games, a lot had a large presence of puzzle-solving, but looking at the majority of modern day Zelda games, it seems as if puzzles, and the challenge that came with them, has lessened. Could the theme of time be an effective way to revitalize the puzzling aspect of the series? Let’s start with the game that most noticeably used time as a way to solve puzzles, Oracle of Ages. In this game, we got to manipulate time with the Harp of Ages. This item was used to travel between both the past and the present, creating a dual overworld similar to the groundbreaking A Link to the Past and its Dark World. In contrast to the praise the dual overworld in A Link to the Past receives, I feel the overworld of Oracle of Ages generally gets overlooked in this respect. Labrynna stayed largely the same throughout journeys between the past and present, but small and subtle differences gave this game an edge in respect to puzzle-solving. In the present, one may come across a physical obstruction that halts their progress. Using the Harp of Ages to manipulate time and travel into the past, you might find that the obstacle is removed, as it didn’t exist in the past. Vice versa, one could plant a seed in the past and in the present it will have grown into a climbable vine. Thus the player can create new paths in order to advance in the game. This form of time manipulation facilitates puzzle-solving as a means of navigating the overworld. Not only did this create a more diverse world through having two time periods, but it made navigation more tactical; since we could only traverse time through specific portals until later in the game, players had to plan their routes to advance. Having to think about how to progress rather than simply walking was a fresh addition. Let’s move ten years through time and into 2011, were we witnessed the release of Skyward Sword, a heavily anticipated title. Now the way I see it, despite my many gripes with this game, I see what Nintendo tried to achieve: They tried to bring the puzzling aspect of the 2D era into a 3D game. In comparison to past 3D titles The Wind Waker and Twilight Princess, I feel that Skyward Sword put a lot more emphasis on puzzle-solving. The dungeons seemed to be a lot smaller in size compared to the likes of Twilight Princess, but they were more compact with more puzzles to a room. Then you had the overworld, which tried to bring elements of a dungeon into simply exploring the world. 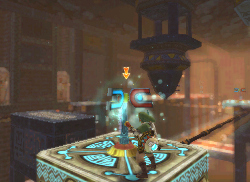 In relation to time, what Skyward Sword brought to the table was the Timeshift Stones. What Timeshift Stones essentially did was allow the player to manipulate a specific section of land in a form of time regression. I think this allowed for more flexible puzzle designs with more individually unique puzzles. Within the Lanayru Mining Facility, this idea worked to great effect. At first sight, you had this dry and abandoned mine, with the only notable inhabitants being the scorpion-like Aracha. However, upon striking these stones, it takes on new life and becomes a high-tech facility. Instead of a lifeless sand-based dungeon, you had this alternate theme filled with machines and new enemies and puzzles. Activated and deactivating the stones to switch between the two times created, in my opinion, some of the most unique puzzle designs in the series. Not only did Timeshift Stones create some of the more engaging puzzles in the game, it also created a dual-themed dungeon. Having a combination of themes within said dungeon is a concept I really like — it allows for diversification and the idea I mentioned earlier of linking navigation with puzzle solving. This section interlinks with puzzle-solving, but I feel it deserves it’s own analysis, as it involves broader strategy and even more tactical gameplay and is not simply about solving isolated puzzles. The natural flow of time is basically the flow that we experience within every passing moment. This was first introduced to the series in Ocarina of Time. Of all the breakthroughs that this game made, it was also the first installment to feature day and night cycles. The day typically lasted two minutes and thirty seconds while the night lasted around one minute and twenty seconds. So maybe it’s not a realistic flow of time, that of which we can relate to in the real world, but nevertheless, it still displays a realistic flow of time even if moves at a different pace than the flow in real life. Two years later we had Majora’s Mask, a game that showcased an even more realistic flow of time. In that game it takes 54 minutes for a full cycle to complete, and with more focus on each passing moment with certain events happening within those moments, it allowed for time’s passage to feel very believable. I’ll go into Majora’s Mask more in a moment, but first I want to discuss some ways in which time management has been notably evident in other installments. In The Wind Waker, specific locations or events were only accessible at certain times (day and night). For example, the House of Wealth is largely inactive during the daytime, but as night rolls around, an auction starts up. Another more advanced example would be the phases of the moon and how this affects the location of the legendary Ghost Ship. We also have Twilight Princess. The most noticeable feature of time management present in this game would be the Poe Soul collection quest. Since Poes would only appear during the night, one would have to effectively wait until dark to hunt for Poes. Given the fact that we couldn’t switch between day and night at will with a song as in previous installments, this made time management even more important, as essentially every second of the night was of vital importance since nighttime was limited. Having to take a tactical approach, hunting for as many Poes as possible during the night, really gave this quest a sense of true challenge. In my opinion, Majora’s Mask is the most definitive title when it comes to uses of time and even more so when it comes to managing it efficiently. Time in Majora’s Mask not only flows through day and night but also explores the time within the two periods, having events throughout the entire 24 hours of a full day (though those “hours” passed quite quickly). This was displayed on our HUD through a clock. More emphasis was put on each minute passing rather than just the alternation between day and night, though even this was also expanded upon as the game features a “Three Day Cycle”, with each day bringing something unique such as the rainfall on the Second Day. Not only would specific events occur, but characters and NPCs would be affected by the cycle and passage of time by having their own unique schedules and doing things independently of Link. Since this game was heavily focused on sidequests, only certain quests would be available at specific times within the Three Day Cycle. One would have to manage their time in an effective fashion to go about completing sidequests successfully. Given the time limitation present not just from the impending doom but from other time constraints, you would have to have an idea of when things would happen and plan out your actions accordingly. Never before have I had to think with such detail about how I use my time effectively. While playing Majora’s Mask, I would try to efficiently navigate a dungeon so I would have enough time to complete other tasks. Executing this strategy successfully meant that I could complete multiple tasks within the same cycle, improving my progress in the game as a whole. 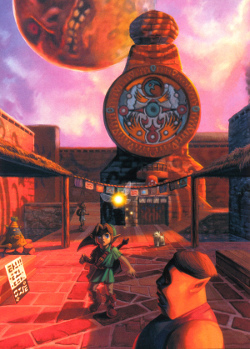 One could also utilize the Ocarina to change the flow of time to suit their specific strategy. It’s this kind of implementation of using time to complete certain tasks that really added to the tactical side of things, and it also added a sense of realism to the game, as if you were managing time in your every day life. So establishing that this game is an indirect sequel, why do I think time travel will play a role? Well, I have a few points that I would like to get into. A couple of weeks back, Anouma stated that this game would feature a “big surprise” at the beginning. I may be jumping to drastic conclusions here, but could this possibly be related to some sort of time travel? From conversing with fellow Zelda fans as of late, it seems quite a few have been warming to the idea that this “surprise” may include insight into how Link was defeated in one of the alternate outcomes created in Ocarina of Time, the one that lead to the timeline in which A Link to the Past occurs. It may be mere speculation, but I actually have a reasonable explanation for my suspicions. In an interview with CNET, Anouma confirmed that the Dark World is indeed returning. However, looking at this from a logical point of view, how could the Dark World be present if Link wished on the Triforce and destroyed the Dark World at the end of A Link to the Past? Hyrule Historia refers to this time frame as the “End of the Dark World”, since Ganon was defeated and the Dark World transformed back into its original and peaceful state (the Golden Land). There are a number of possible plot holes with the Dark World returning. After Ganon was defeated in A Link to the Past, the Kingdom of Hyrule underwent a prolonged period of peace. Within Hyrule Historia, this is referred to as the “Golden Era”. Here, the Triforce was taken out of the Sacred Realm, and instead of resting undisturbed, was utilized by the great kings that followed. This indicates two clear things: No significant threat of evil was present during this timeframe, so how could one pose enough of a threat to Hyrule and the Sacred Realm alike? Also, with the Triforce now out of the Sacred Realm, what is the Realm’s purpose? 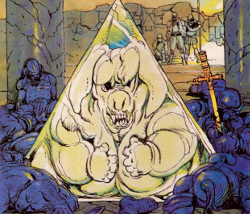 We know that the Sacred Realm was first and foremost where the Triforce was kept. 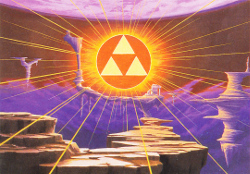 The only reason that many people sought after the Sacred Realm’s location was due to it being the resting place for the Triforce. What would one’s motive be now to search for such a place? The Triforce is now in the hands of the monarchy. If any evil intended to steal the Triforce they would simply invade Hyrule Kingdom — as seen in the prologue to the original Legend of Zelda — so there’s not much reason for them to retreat to the Dark World or for the game to include it even if them touching the Triforce does recreate it. Maybe I’m looking too deep into this, but I feel this evidence is enough to make people question things as they are now. Now I’m sure Nintendo could somehow retcon in a plot like this, but going off the evidence here, I think time travel will come into play in this game instead. I’ve witnessed many fans raise the possibility of this game taking place prior and, in a way, I think it still will. Preceeding A Link to the Past is an event known as the “Imprisoning War”, during which many people sought to find entry into the Sacred Realm, now the Dark World. The people who entered were turned into devilish monsters and the Knights of Hyrule were ordered to seal the Realm. Wouldn’t this timeframe be fitting to revisit? Having a Zelda game involving a war of sorts has been a want of mine for many years and I’m sure there are others who share this view. When it comes to how this could link into the story of the sequel game, A Link Between Worlds, I have a basic idea on how the plot could possibly play out. We have a new generation of Link and Zelda, as well as some familiar characters reappearing, as Aonuma said. It’s the same world within a similar period, but with Ganon now gone, a new evil arises. Going with the notion that this game will feature time travel, this villain will use his or her powers to travel into the past and to the Imprisoning War. Here, the villain will attempt to rescue Ganon from the Dark World or perhaps stop his sealing in the first place. As Link, it’s our job to travel back in time and stop this tragic event from happening. Moving onto the ways in which I think time could be used in the game itself, let’s first focus on “progression”. If we are traveling between two very different eras within Hyrule, then this would create two large contrasting worlds. We have the present time — as showcased in the trailer — and this will be a largely peaceful world. of course enemies and dungeons may be present, but this could be Hyrule seen in a lighter perspective. Revisiting the Imprisoning War would cause big contrast. Not only would we see a switch up in locations, but we will also see Hyrule in chaos. Like I mentioned earlier, a war within a Zelda game has always been a want of mine and bringing such dark themes into the game could be great. Since we are essentially going back in time, this would technically create the opposite of progression as we would be regressing in time, but ironically, because we are actually advancing the plot by going “back” in time, it still creates that sense of progression that I talked about. Seeing Hyrule in two completely different lights would surely heighten the sense of evil and therefore of challenge and accomplishment. Even though we might be spending most of our time in the present world, we could still be hit with the sudden realization that, in the past, things are very much not at peace. Building off the idea of puzzles, we could see some sort of navigation between the present and the past similar to what we saw in A Link to the Past and Oracle of Ages. I realize that this game will also feature the Dark World, which I’m sure will be involved with most of the navigation puzzles, having three different worlds to navigate could bring about even more interesting puzzles, and would fit with the title even better: A Link Between Worlds. I completely realize that I may be wrong and maybe I am letting my imagination run just a bit. However, at the end of the day, all I want to see is a Zelda game use time to its full extent and have all of its advantages that I’ve discussed. 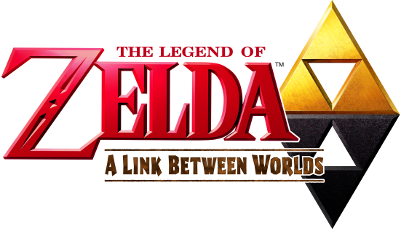 I really feel that A Link Link Between Worlds could be the perfect title to implement time effectively — not just for the purpose of the story but in terms of gameplay as well. So wrapping this all up here, I want to know what you guys think about the idea of time being used in Zelda games. Maybe you have a standout favorite on which game has utilized it the best thus far? Also, what do you think about time possibly being used in the next installment, A Link Between Worlds? Justac00lguy is an aspiring Business student and some of his many interests include gaming, and of course The Legend of Zelda. He has been a member of the Zelda Dungeon forums for around a year now and he enjoys taking part in Zelda related discussions as well as theorizing. JC is also a dedicated editor over at the Zelda Dungeon Wiki, where he is a Wiki Scribe.